AKIPRESS.COM - Economies across large swathes of the globe could shrink dramatically by mid-century as fresh water grows scarce due to climate change, the World Bank warned on Tuesday, reports Reuters. The Middle East could be hardest hit, with its gross domestic product slipping as much as 14 per cent by 2050 unless measures are taken to reallocate water significantly, the Washington-based institution said in a report. Such measures include efficiency efforts and investment in technologies such as desalination and water recycling, it said. Global warming can cause extreme floods and droughts and can mean snowfall is replaced by rain, with higher evaporation rates, experts say. It also can reduce mountain snow pack that provides water, and the melting of inland glaciers can deplete the source of runoff, they say. Also, a rise in sea level can lead to saltwater contaminating groundwater. "When we look at any of the major impacts of climate change, they one way or the other come through water, whether it's drought, floods, storms, sea level rise," Richard Damania, World Bank lead economist and lead author of the report, told reporters in a telephone conference. Fresh water shortages could take a toll on sectors from agriculture to energy, the World Bank said. "Water is of course at the centre of life, but it's also at the centre of economic activity," Mr Damania said. Water scarcity would not have the same impact worldwide, and western Europe and north American economies would likely be spared, according to the World Bank models. But rising economies such as China and India could be hard hit, it said. In the Sahel belt that stretches across Africa below the Sahara, GDP could well dip some 11 per cent with water scarcity, the World Bank said. A similar impact would be felt in Central Asia, it said. 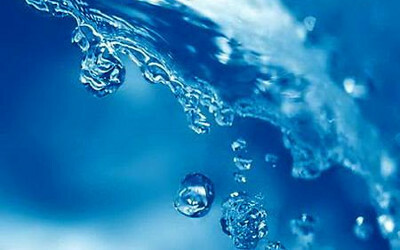 But measures to reallocate fresh water could show gains in some regions, the bank said. For example, a shift in allocation could lead to GDP growth of about 11 per cent by 2050 in Central Asia, the bank said. The World Bank also advocated pricing water consumption, a proposal that has stirred controversy and is opposed by those who do not think water should not have any price tag. "If you're making money out of water, particularly if you're using a lot of water as a commercial user, then it's reasonable to suggest that you pay minimally enough to cover the cost of providing you with that water," Mr Damania said. "This might well mean free water if you are exceedingly poor," he said. About a quarter of the world's population, or some 1.6 billion people, live in countries where water already is scarce, according to the World Bank. Last month, 175 nations signed a deal reached last year in Paris to slow global warming and cut greenhouse gas emissions.